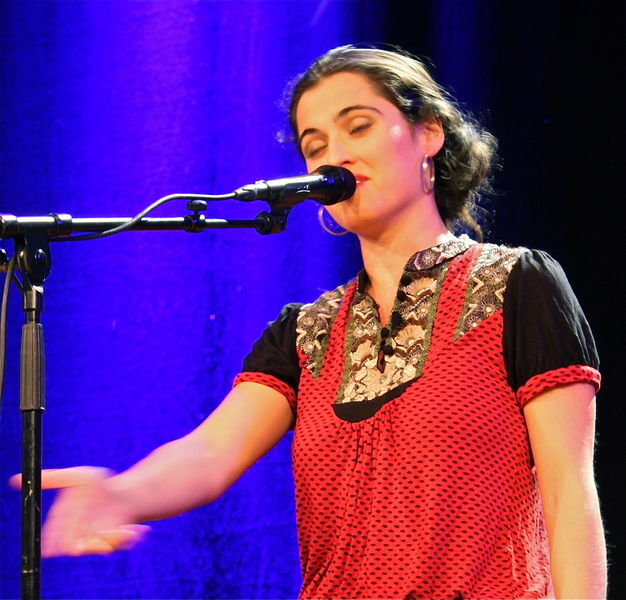 "I made sure I was well in place for the multinational Barcelonian flamenco band Las Migas. 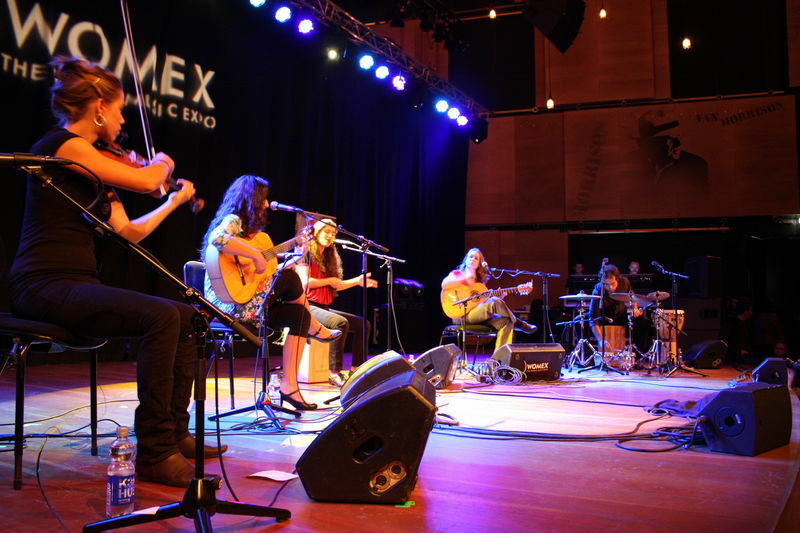 This was definitely one of my highlights of Womex: four beautiful - and extremely talented - women on violin/accordion, two Spanish guitars and cajon/vocals (accompanied by Andalucian percussionist Carlos Cortés Bustamante). a voice that could floor a man at a hundred paces . . . The musicianship evident on-stage would be enough to make it to my highlights list on its own, but what really catapults them above other similarly talented bands is the stage presence of their lead singer, the cantaora Silvia Pérez Cruz. Seated upon her cajón centrestage, she is like a magnet to the eyes and ears - no mean feat considering the skills and charisma of her compañeras - and certainly for me that night she had the elusive duende so sought after in flamenco. Posture, grace, facial expression, delicate hand-movements and a voice that could floor a man at a hundred paces . . .
She effortlessly travels between flamenco and jazz in the most subtle nuances of her voice.Offstage she is tiny compared to the brilliant guitarist (and curvaceously statuesque beauty!) Marta Robles Crespo, but onstage Silvia is like a queen holding court. As you can tell, she ruled my head, ears and heart that night.